There’s nothing more personal than engraving a special message onto a luxury gift. Contrary to popular belief, a personalized inscription isn’t very expensive, yet it can give even an everyday item a new height of class. If you’re lost for ideas these suggestions may help. Jewelry boxes are a sacred item, proudly displayed on a bedroom desk and filled with hidden treasures. Adding an engraving to these boxes makes the present even more heartfelt, as an endearing message requires more thought. Here at Chasing Treasure we offer a range of boxes with personalized engravings, the perfect gift for the loved ones in your life, ideal for any occasion! Of course you’ll want to engrave a personal message, but if you are lost for ideas why not try, “Thinking of You,” or “Always.” For something a little more formal that represents a special event, perhaps the name and date would be more suitable. Just remember, some companies will charge by the word or letter; therefore, longer messages are generally more expensive. Visit Kyle Designs for a list of engraving quotes for different occasions. An engraved gift is something that the recipient will love and cherish for many years. They are perfect for monumental events such as christenings, millstone birthdays, anniversaries and weddings, as they will become a physical representation that moment in time. At an average price of $300 to $700 per box, cigar smoking is an expensive habit. Over 90% of cigars in circulation are fakes and the seasoned smoker will easily tell the difference. Cigar cases are the perfect alternative if you’re looking for something a little cheaper than a full box of authentic Cubans. If you do want to fill it with cigars, however, make sure you use a reputable supplier such as The Cigar Club. The hip flask is one of the most popular gifts for engraving. It’s classy, smart, functional and a great way to celebrate the 18-year milestone. Most hip flasks come with a small area that’s ready for engraving. If you want to add a little kick to it, pre-fill it with a fine whiskey or spirit. The tankard is another great gift for 18-year-olds and over the past few years drinking from them has been hugely popular. Unlike the other products on this list they are made from pewter, which is not only perfect for engraving, but also cheap; some people even argue that it compliments the taste of the beer. In today’s digital world you can even engrave tech gear such as stylus pens, iPhone chargers, smart phone cases and computer mice. If you’re buying for a tech whiz, then this might be more suitable than something traditional. The pen and pad that we all grew up with at school is dying. Nowadays when most of us try to write freehand the sensation almost feels alien. But that’s one of the main reasons why the engraved pen and pencil can be a perfect gift; it will encourage the recipient to keep freehand writing alive. The pocket watch may seem a bit pointless, but not every gift is about functionality. Sometimes it’s just nice to receive something a little more traditional and old-school; no digital technology or batteries, just good old fashioned cog winding. The pocket watch is something everyone will appreciate, love and cherish. When it comes to wedding gifts, use ChasingTreasure to find instant heirlooms. But when it comes to your wedding them, originality is key. No doubt you’ll feel under pressure to host a night that everybody will remember. 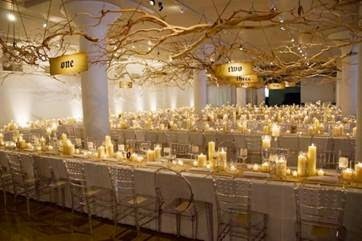 If you’re looking for some unique ideas that don’t conform to the mainstream, check out these 13 wedding themes. 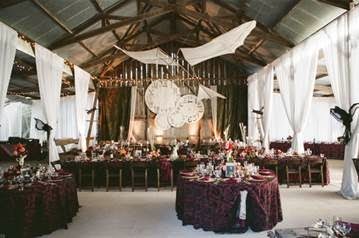 Gothic weddings don’t have to be a somber affair and can actually be quite charming and traditional. Castles and old buildings are perfect locations and can provide the perfect medieval backdrop for a period style banquet. 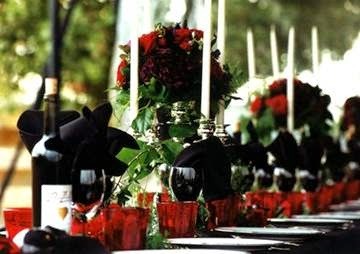 Decorate with cast iron candleholders and black centerpieces, and then add some red roses for a little more color. 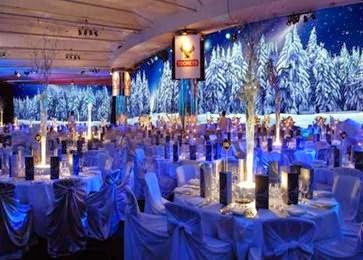 The winter wonderland theme will bring a little hint of Disney to your wedding. This theme is stunning, surreal, traditional and sure to impress everybody in attendance. Decorate with turquoise, blue and silver in multiple different shades. For some more bold colors add some flowers and greenery. 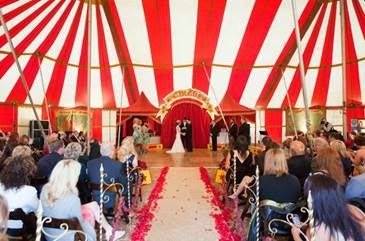 Ever since Breaking Bad star Aaron Paul had his highly publicized circus wedding in 2013, the theme has surged in popularity. Instead of a live band, rent some miniature circus rides and get magicians and clowns to mingle amongst the crowd and provide the entertainment. Decorate the tables with red, yellow and blue to really accentuate the vibe. 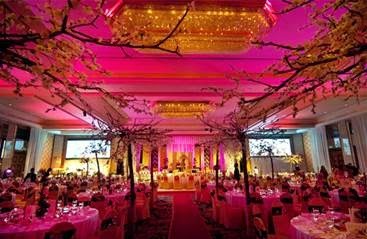 If you’re looking for something unfamiliar, a Chinese themed wedding could be perfect for your needs. In China the color red is a symbol of joy, which makes it a primary color in wedding ceremonies. Decorate with gold lace; wear a silk gown; and arrange your décor using the rules of feng shui. Steampunk culture is becoming very popular, and over the past three years it’s been a more and more common occurrence to see steampunk style weddings. Have a Victorian and Edwardian dress code and use old-world décor. Don’t be afraid to add in modern technology either, as the steampunk look is all about fusing the old and the new. There’s no real way to describe a whimsical wedding as every wedding within the theme is vastly different. In short, the whimsical theme is a combination of everything; mismatched décor and furniture; multi colored lighting; strange shaped seating, etc. Imagine you’ve fallen down Alice’s rabbit hole and you’ll start to get the picture. If you really want to create a calm and relaxing environment, there’s no better theme than Japanese. Get married in a zen garden filled with bonsai trees and cherry blossoms; keep all of your décor minimal to create open space; and use floor-level seating with tatami mats. If you’re a sci-fi geek and want to represent your personality and have a laugh, then a Star Trek or Star Wars themed wedding could be exactly what you need. 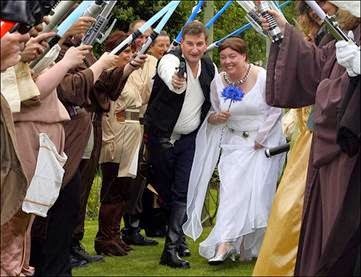 Lose the formal dress code altogether and treat your wedding day like a convention by getting guests to show up dressed as their favorite characters from the movies. Like steampunk, zombie culture has been growing in popularity. 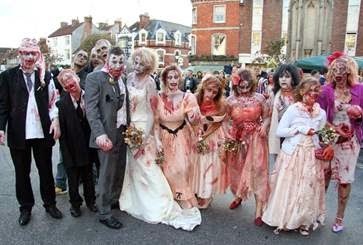 If you’re a fan of the genre, then perhaps you could use your wedding to find out how well you really could cope when faced with hoards of the undead. 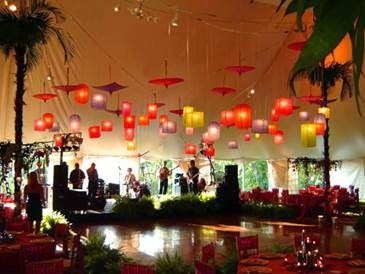 If you’ve always imagined having a beach style wedding, then the surfer theme could be exactly what you need. There’s nothing like the feeling of reciting your wedding vows seconds before jumping into the water and sealing the deal with an adrenaline rush. 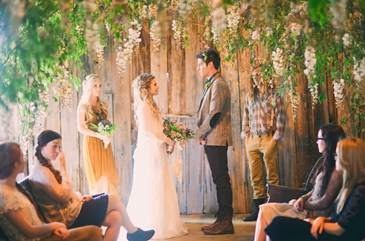 Over the past five years the boho wedding theme seems to make it on virtually every seasonal wedding theme list. It’s a very popular and simplistic style that’s easy to recreate. Flower crowns; sparkling forest lights; and a few people strumming an acoustic guitar are all you need to achieve this hippy-like vibe. 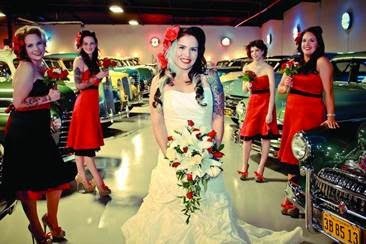 Rockabilly weddings are a lot of fun and the perfect theme to go for if you want everybody grooving on the dancefloor. Rent an old Cadillac; play a selection of rockabilly classics; and serve hamburgers and alcoholic milkshakes to give it that real American diner feel. When you think of the word “party,” no doubt Vegas springs to mind. 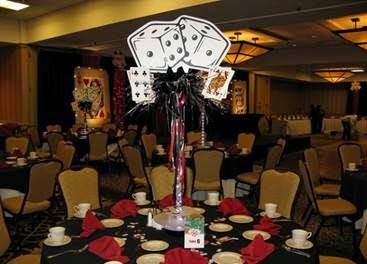 Decorate with the colors of playing cards – red, white and black – and provide a few casino classics such as blackjack and craps for a bit of friendly gambling. Finding a theme that suits your style and budget isn’t easy. If you’re still at a loss visit Strictly Tables and Chairs for a comprehensive list of even more weird and wonderful wedding theme ideas.